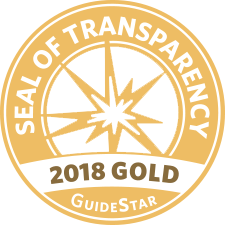 CAIR-Missouri is proud to be GoldStar certified by GuideStar. To read about our certification click here. CAIR-Missouri is a 501(c)3 not-for-profit organization. Though our projects and services are numerous, diverse, and of great relevance to the well-being of the Muslim-American community and society at large, we do not have a steady source of income to fund our efforts. We do not sell our services, all our work is done pro-bono. Consequently, we depend solely on the generosity of the friends and allies of CAIR-Missouri to keep the organization up and running. Every dollar counts. Every donation is meaningful. You may make a one-time donation, or you may consider making a monthly recurring donation. Your donation will go a long way in benefiting the Muslim community and making America a better place for all of us. Please make a pledge today. All information entered on cair-mo.org or its affiliated websites is protected via a SSL (Secure Sockets Layer) certificate. We never share your data with third party agents. We also accept mail-in checks, please make payable to CAIR-Missouri and send to: 13408 Clayton Rd, St. Louis MO, 63131. You may also call us, to make a credit card donation by phone, at 314-722-6116.